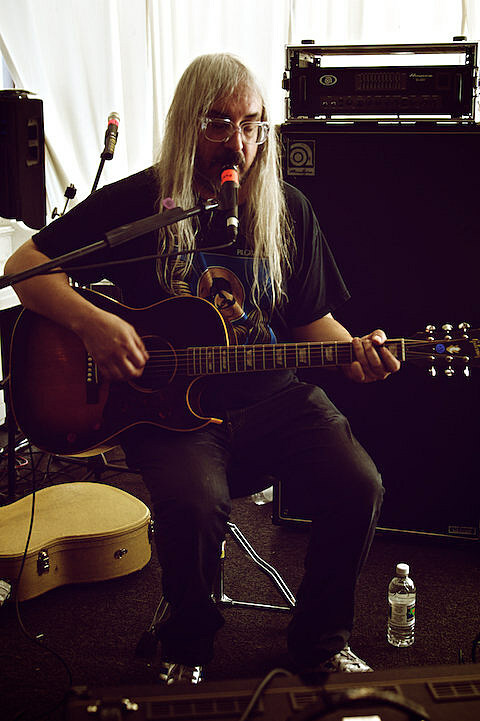 Neither Dinosaur Jr. or leader J Mascis have many upcoming tour dates, but J has at least announced a few solo gigs happening this summer. One of those is a performance at Subterranean on June 1, and advance tickets are on sale now. It’s a late show (10PM doors), and Do Division 2014 is slated to take place from May 30 – June 1, so maybe J or Dino Jr. will also play the festival(?). Stay tuned for more info. Speaking of Dinosaur Jr., the trio have put together a limited edition hardcover book, which serves as the “oral history of the first thirty years of the band.” That’s a picture of the classic and signature editions of the book at the top of this post. It’s simply titled Dinosaur Jr., and features their story as told by J, Lou, Murph, and close allies, with photographs, band flyers, exclusive interviews, and more. You can grab a copy here, and just so you know, “you will not see it on Amazon or at Barnes & Noble.” You can also take a look inside before you purchase. The Numero Group are also releasing the Visitors box set on Record Store Day, which consists of six Dinosaur Jr. 7″s and unused artwork from between 1985 and 1990.